Welcome to SailTime New York! If you love to sail and want all the benefits of boat ownership at a fraction of the cost and with none of the hassles…. If you wish you could leave work and be on your boat with family and friends in a matter of minutes (vs. hours?)…. 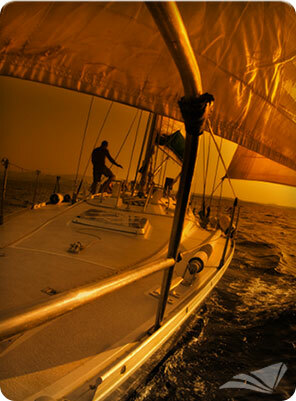 If you would like to get into sailing but aren’t sure how or where to start…. Join SailTime New York and the happy few who can say they can sail NYC’s numerous waterways, enjoying our region’s rich maritime history! Here’s some of the information that may help get you started. Why should I join SailTime? If you have been considering buying a boat, you have probably learned how expensive purchasing and maintaining a new boat is. Used boats may be more affordable, but require too much of your valuable time to get them in good condition, and then there is the constant up keep. Sailing clubs offer an alternative to ownership, but you can’t go out on your own, the boat options are limited and often in poor condition and scheduling time can be very difficult. SailTime offers you the ability to spend time on the water with friends and family in a new (or like new) cruising yacht with easy scheduling and without the cost and hassle of ownership. SailTime has new boats that are safe, clean, and easy to sail. Imagine yourself at the helm of one our boats sailing under the Statue of Liberty at sunset or sailing in the widest and calmest part of the Hudson river just a few miles north at our Haverstraw Marina location. Come experience our new yachts, easy online scheduling, and attention to customer service. We would love to have you as a SailTime member and we can teach you the skills you need to handle your new yacht. Compared to the cost of owning your own boat or renting you will see a significant value. Plus, your time has value and instead of paying numerous bills, doing maintenance and cleaning… wouldn’t you rather be sailing? You might choose from our sail boat fleet with vessels from 22’-45’. See our fleet page for vessel information and pricing. All offer membership options that work for your schedule and budget. ~ Classic members can use their boat up to seven times per month! ~ Additional unlimited use of your yacht when reserved within 36 hrs (Classic members). ~ Crew Connection’ post your availability to sail with other members! Our season runs early May – late October. If conditions allow, we may start early April and run through early November. SailTime New York offers many ways to get you on the water and sailing…Come sail with us! Contact SailTime New York by phone 800-237-1557 or email newyork@sailtime.com for more information.